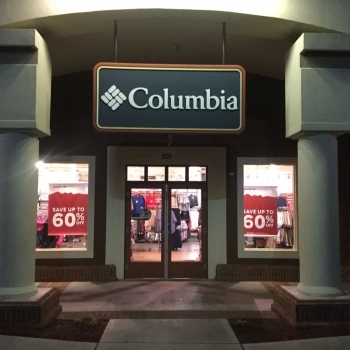 The Columbia outlet in the Cincinnati Premium Outlet center opened August 6, 2009. The center is the first upscale outlet mall in Southern Ohio, and is home to 100 stores. Historic Monroe, OH, which was originally platted in 1817, provides a beautiful setting that combines both the country and the contemporary. Conveniently located just off I-75 on SR 63, Columbia Sportswear is less than an hour drive from major metropolitan areas of Cincinnati and Dayton. Columbia has been creating innovative apparel, footwear, accessories and equipment for outdoor enthusiasts since 1938. Columbia has become a leading global brand by channeling the company’s passion for the outdoors and innovative spirit into technologies and performance products that keep people warm, dry, cool and protected year-round.